It’s Christmas in October with two awesome Poppy releases today. 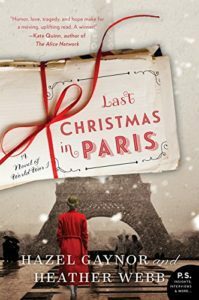 First up, we’re celebrating the release of Last Christmas in Paris by Heather Webb and Hazel Gaynor. Check back later for Christmas in London by Anita Hughes. August 1914. England is at war. As Evie Elliott watches her brother, Will, and his best friend, Thomas Harding, depart for the front, she believes – as everyone does – that it will be over by Christmas, when the trio plan to celebrate the holiday among the romantic cafés of Paris. But as history tells us, it all happened so differently…. Evie and Thomas experience a very different war. Frustrated by life as a privileged young lady, Evie longs to play a greater part in the conflict – but how? – and as Thomas struggles with the unimaginable realities of war, he also faces personal battles back home, where War Office regulations on press reporting cause trouble at his father’s newspaper business. Through their letters Evie and Thomas share their greatest hopes and fears – and grow ever fonder from afar. Can love flourish amid the horror of the First World War, or will fate intervene? Christmas 1968. With failing health, Thomas returns to Paris – a cherished packet of letters in hand – determined to lay to rest the ghosts of his past. But one final letter is waiting for him…. 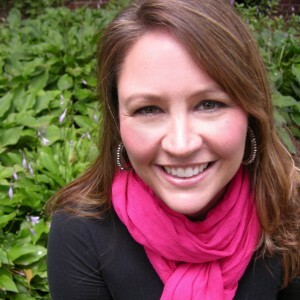 Heather Webb is an author of historical women’s fiction, editor, and blogger at award-winning writing sites WriterUnboxed.com and RomanceUniversity.org. Kirkus Book Reviews called her debut novel, BECOMING JOSEPHINE, “exceptionally concise and colorful,” and the New York Journal of Books said “Webb holds up a light into the inner recesses of a fascinating and contradictory woman”. Her forthcoming novel, RODIN’S LOVER, about art, love, and the lines between obsession and madness during the Belle Époque releases from Plume/Penguin in January 2015. Heather is a member of the Historical Novel Society and the Women’s Fiction Writers Association, and she may also be found teaching craft-based courses at a local college. When not writing, she loves to geek out on pop culture, do the foodie thing, or travel up a storm. I am eagerly awaiting to meet Heather and Hazel and all the rest of the wonderful authors who will be at Mohegan Sun on October 12! I am now just starting to read my copy of The Last Christmas in Paris…it is stunning, emotional and intelligent and I have tissues nearby.